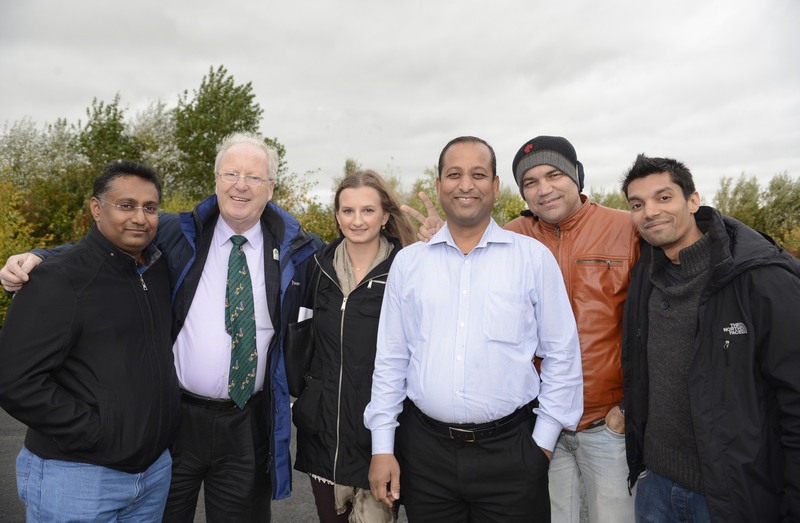 Tour operators from the Middle East with Christina Gregory, Tourism Ireland (third left), and tour guide Peter Byrne (second left). Tourism Ireland invited a small group of influential tour operators from the Middle East to visit Co Clare recently, in advance of attending a B2B workshop with Irish tourism companies in Dublin. The visit was organised to encourage the visiting tour operators to extend the Ireland content of their existing programmes or to include the island of Ireland for the first time in their 2015 programmes. The group’s itinerary included a guided tour of the Burren Perfumery in Carron, followed by lunch at Monks in Ballyvaughan and a visit to the Cliffs of Moher. The next day, they visited Bunratty Castle and Folk Village and had lunch at the nearby Lily Mae Café. During their time here, the group stayed at Trump International Golf Links & Hotel in Doonbeg.